Armenia’s Justice Ministry and national bar association have drafted a bill that would make it a crime to insult lawyers or threaten them and their family members with violence. The move results from angry public reactions to high-profile court cases involving former senior government and military officials accused of corruption. They have also targeted lawyers representing some of those former officials, including Manvel Grigorian, a retired army general prosecuted on corruption charges. Last week one of Grigorian’s lawyers, Arsen Mkrtchian, was confronted outside a court in Yerevan by protesters furious with his client’s recent release from pretrial detention. Some of those protesters verbally abused Mkrtchian and spat at his car. Armenia’s Chamber of Advocates condemned the incident and demanded stronger government protection of its members dealing with sensitive criminal cases. The chairman of the bar association, Ara Zohrabian, said earlier this week that failure to do so would put lawyers at risk of serious physical attacks. The resulting bill drafted by the Justice Ministry and the Chamber of Advocates calls for criminalizing slander, insults and threats voiced against lawyers. All forms of libel were decriminalized in Armenia about a decade ago. Not all Armenian lawyers agree with the proposed bill. « Mon mari est avocat depuis près de 20 ans, il est menacé pour des dossiers qu’il réalisa depuis 2011 »a confié la députée d’origine arménienne du Parlement de Turquie, Selina Dogan. Revenant ainsi sur les publications et les menaces à l’encontre de son mari, l’avocat Kurde-Alévi, Erdal Dogan. « Mon mari était l’avocat de Hrant Dink de son vivant, et après l’assassinat de ce dernier, il est devenu l’avocat de la famille Dink. En 2007 il avait défendu l’affaire de Malaya où trois chrétiens étaient assassinés »continue Selina Dogan. Le site Tert.am auquel Selina Dogan a accordé l’interview rappelle les menaces de mort reçus par son mari qui défend les intérêts des Arméniens devant les tribunaux de Turquie. Erdal Dogan -outre la défense de l’intérêt des Arméniens- travaille également sur le dossier des massacres de Dersim dans les années 1937-1938 ainsi que de l’assassinat des intellectuels turcs. Des dossiers qui ne sont pas de nature à plaire à une partie de la Turquie et notamment les nationalistes. « Les menaces contre mon mari continuent depuis 7 ans déjà. Il tente de trouver des moyens pour se protéger mais en Turquie la situation économique et la crise politique et le monde judiciaire lié au pouvoir sont autant de menaces sérieuses contre lui » dit Selina Dogan. A lawyer who is known for taking on the cases of Armenians has said he is being followed by suspicious people and fears that he could become the victim of an assassination attempt by “deep forces” in Turkey, the artıgerçek news website reported on Friday. Lawyer Erdal Doğan posted some photos on Twitter on Thursday that showed two suspicious people in front of his law office in İstanbul on Dec. 24. Doğan said these two people were seeking information from reception as to when he comes to work and leaves and whether he would drop by his office that day as well as what his phone number was. These people, he said, come several times a day and try to gather information on him. The lawyer said he notified the İstanbul police about the suspicious individuals and was given a security guard. The lawyer said he received death threats over social media when he joined as a co-plaintiff lawyer in the trial of the suspects in the Zirve Publishing House murder trial. The chief prosecutor’s office in the southeastern province of Diyarbakır has launched an investigation into several statements made by the former head and the members of the Diyarbakır Bar Association, Duvar news site reported on Thursday. The bar association said in a written statement that the investigation was related to several press releases and reports of the institution. One of the press releases was made on April 24, 2017 to mark the anniversary of the deportation of Armenian intellectuals from Istanbul in 1915. 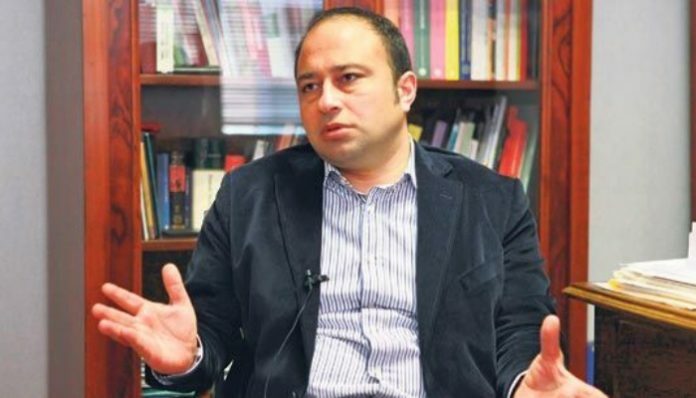 The association is also being investigated for using the work “Kurdistan” in a press release criticising a parliamentary disciplinary action against Osman Baydemir, a former deputy of the People’s Democratic Party (HDP) and former mayor of Diyarbakır. The prosecutors accuse the bar association of “failing to recognise the Kurdistan Workers Party (PKK) as a terrorist organisation” in a report that examined the deaths of two Turkish civilians, a father and a son, in 2017. The civilians were reportedly hit by an armed dronebelonging to Turkish military in a rural area in the southeastern province of Hakkari. The lawyers of former Armenian president Robert Kocharyan, who is currently under arrest, have reported threats made against them. One of the lawyers, Hayk Alumyan, said that he began receiving threats as soon as he agreed to help defend Robert Kocharyan. Former president of Armenia Robert Kocharyan has been accused of ‘overthrowing the constitutional order’, which refers to the events of 1 and 2 March 2008. After the presidential elections of 19 February 2008, supporters of the first president of Armenia, Levon Ter-Petrosyan, came out in protest, demanding that the election results be re-examined. They claimed that Ter-Petrosyan had won and not Serzh Sargsyan as was announced by the Central Election Committee. Robert Kocharyan, still president at the time, imposed a state of emergency, and on 1 March 2008 the police and the military were brought in to disperse the protesters. Ten people died. 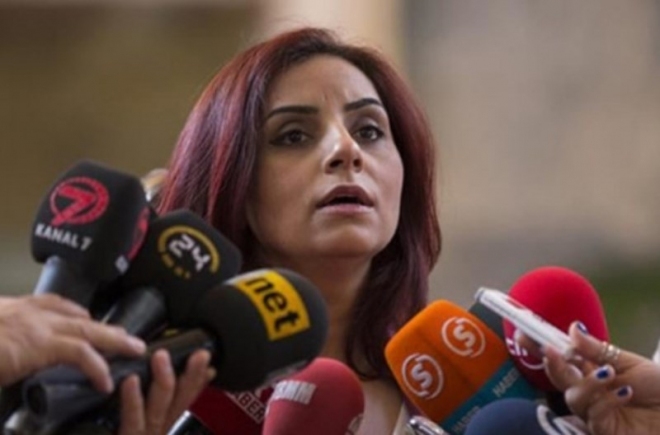 Alumyan says that law enforcement agencies know about the number of threats being made on social media networks, but have decided not to take any steps to punish guilty parties. He also believes that the threats made against him and other lawyers are an attempt to exert direct influence and pressure on the trial. Human rights advocates and colleagues of the lawyers have expressed their support. Hundreds of lawyers have gone on strike in Armenia, protesting a draft law they say ‘targets lawyers’. The bill would allow judges to fine them for contempt of the court. The lawyers began a two day strike began on 7 February. The bill has faced criticism as lawyers fear it will be used to limit their rights during court hearings. It would allow judges to fine them by up to ֏100,000 ($210). The bill was drafted by the Government and passed its first hearing in parliament in November, according to Azatutyun, RFE/RL’s Armenian Service. Armenian law already penalises contempt of court, but the draft would introduce additional fines exclusively for lawyers. Azatutyun quoted Justice Minister Davit Harutyunyan, the author of the bill, as saying that these provisions had now been removed from the bill. But according to them, Harutyunyan ‘made clear the amendments will be incorporated into another code’, the Procedural Code, which they plan to amend later in 2018. In an 8 February statement, the Chamber of Advocates of the Republic of Armenia, which organised the protests, said ‘there is no need to establish a judicial penalty for lawyers separately’. The Chamber is a non-profit organisation claiming almost 2,000 members. I would like to skip the issues relating to the organisational aspects of today’s event, including the strange role of the President of the Bar Chamber in them to save time and to focus on what is most important to us. I will start by thanking the experts invited to this event by the co-organisers for their readiness to share their interesting and informative opinions with us. Given the fact that this is the first event in Yerevan with the participation of the interested organisations, including the ‘opposition advocates’ (please note that this label was given to us by the President of the Chamber and not me or any other colleague of mine), I would like to draw the attention of the present to a number of problems the Armenian Bar faces today. Around 30 advocates have already applied to the Council of Bars and Law Societies of Europe (CCBE) expressing their conerns about a number of serious problems the Bar faces today and we look forward to hearing the positions of this and a number of other international bodies on solutions to these problems. We are of the position that the President and the Board of the Armenian Bar Chamber have in fact transformed this professional self-regulated body into an instrument in the hands of the Armenian Government with a view to subjecting it to a type of oversight, which is contrary to the standards enshrined in our Constitution and the relevant national and international instruments for regulation of the legal profession.